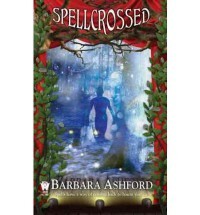 The Crossroads has an earned a spot in my heart and I loved returning to Dale, Vermont to see all of the characters that became dear to me while reading Spellcast. Maggie has gone through a lot of changes since we last saw her. She is an emotional upheaval and trying to get her life back in order, but it's not easy. Maggie throws herself into her work but finds as always that magic takes place at the Crossroads. Events happen that throw her life into a tailspin, and nothing goes as planned. The first half of this book and the last half of the book kept me glued to the page. I was laughing and crying from one page to the next. I hate to say this, but the middle of this book almost lost me. A large part of this is because I never really warmed up to any of the new actors introduced in this book like I did with the ones in the first book. I felt like Maggie never really spent any time with them-instead of interacting with them we were just told what happened. As she was directing instead of acting this makes sense, but I still felt like something was missing and I can't quite put a finger on what it was. As much as I found myself getting annoyed with Maggie for not being more proactive with spending time with a certain someone, I enjoyed the theater scenes a lot. I felt like I really was apart of the theater and directing along with her. The insight into the world of theater is amazing.